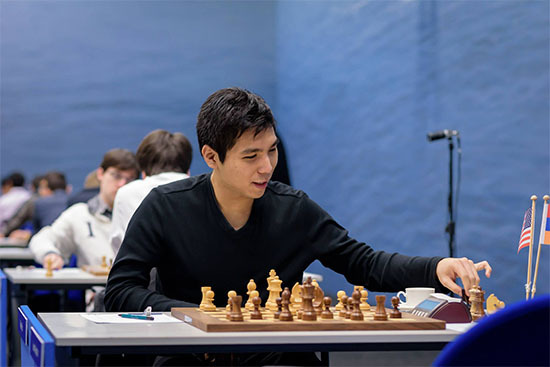 LAS VEGAS – Wesley So bounced back from his opening-day loss with a smashing win over highly-regarded Fabiano Caruana in the second round of the Dortmund Sparkassen chess championship in Dortmund, Germany. The 21-year-old So came through with the precise moves in a rook, pawn and minor pieces endgame to prevail over his potential U.S. teammate and rival. So’s connected pawns on the kingside decided the issue, with Caruana failing to prevent the pawn advance with his knight and bishop. Dechev, a grandmaster, had a very technical analysis of the game on the Chessbomb.com website, pointing out that Caruana had several chances to pull out a draw and even had potentially winning lines. In the end, So appeared more prepared in the complicated game that eventually settled into a Sicilian and ended after 69 moves. The victory somehow erased concerns after So’s preparation and fitness to play against some of the world’s best after a disastrous first game, which he lost to Liviu-Dieter Nisipeanu. Nisipeanu, a former Romanian No. 1, now playing for Germany, is respected for his creative games and is now leading the tournament with two points after his second straight victory against Arkadij Naiditsch of Germany. Former world champion Vladimir Kramnik also recovered from his first-round loss with a quick 28-move win over female grandmaster Hou Yifan of China. He now shares a crowded tie for second with So and four other players, each with one point in two games. 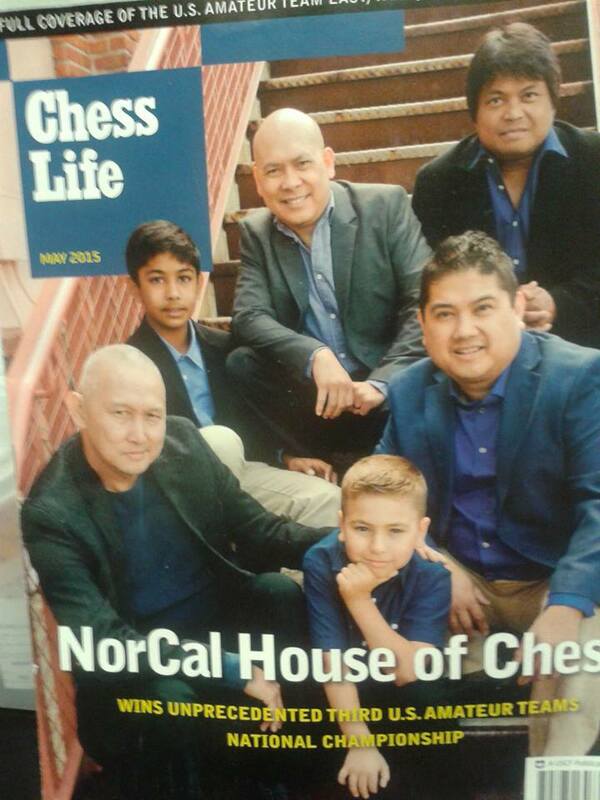 Ted Castro and his staff of NorCal House of Chess on the cover of Chess Life. 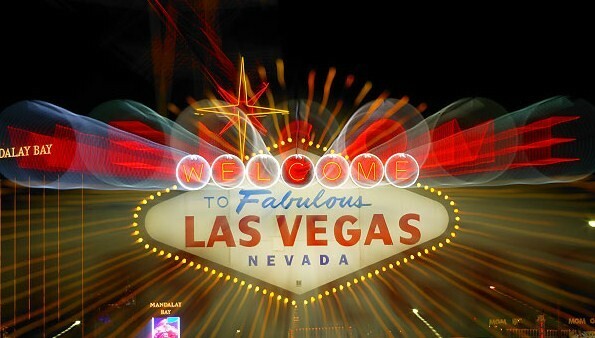 LAS VEGAS – A Filipino-American chess school has been featured on the cover of Chess Life, monthly magazine of the U.S. Chess Federation in recognition of its efforts to promote chess among young people in the Bay Area. NorCal House of Chess in Fremont, California was honored on the cover of the magazine’s May issue for winning an unprecedented third national U.S. amateur team championships, among many other accomplishments this year. A life-long chess enthusiast, Castro opened NorCal after teaching chess to several kids and getting early success, including mentoring an eighth-year-old, who became the world’s youngest FIDE master, a title bestowed to normally older players. The school has won team titles in the regional and state level as well. In addition, Castro’s students have captured individual honors, including the gold medal in the North American Youth championships in Mexico. Another student, Ashrita Eswaran, won the U.S. Junior Girls championship last week in Tulsa, Oklahoma, and will compete in the World Youth championship in Greece later this year. Fourteen other students are taking part in the Greece Youth championships, and five others are going to Colombia for the Pam Am Youth tournament. “It’s been a great year, and we’re not even halfway there,” Castro said. Aside from developing chess players, Castro said they are also keen on hiring coaches, particularly Filipino grandmasters. “They are great teachers – and we can also provide them jobs,” said Castro, who has on his staff Grandmasters Enrico Sevillano, Ricardo de Guzman and FM Ronald Cusi. 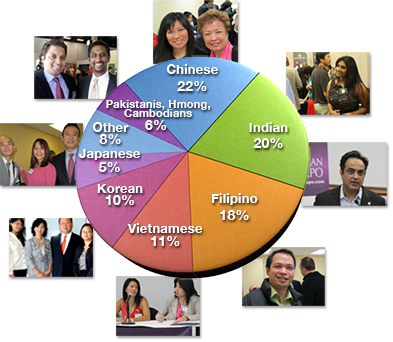 Most of the 100 or so students admitted to the school each year, few are Filipino-Americans, however, and Castro said he wants to see more of them. 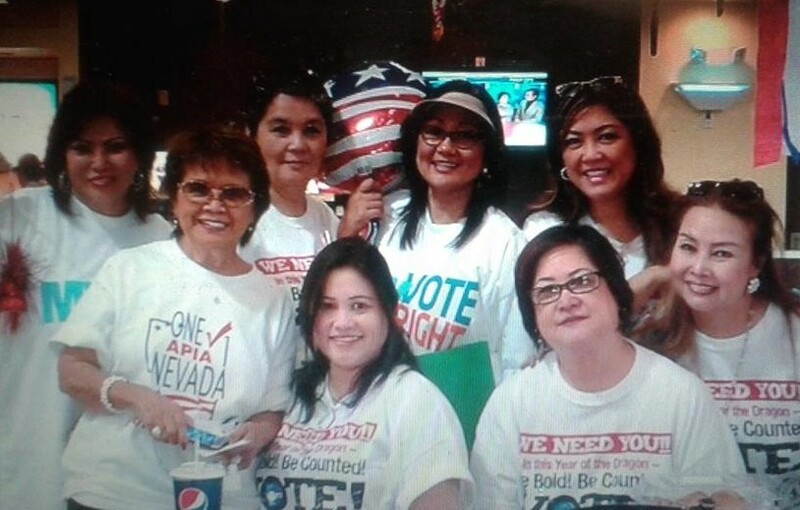 With plans to open similar schools in Canada and Los Angeles, and maybe in the Philippines, more Filipino and Filipino-American kids are expected to join, he said. Castro said that right now, the school is self-funded. “But we hope to strike up partnerships and sponsorships with more companies to train more kids and hire more coaches,” he said. LAS VEGAS – Like the first game, Wesley So nursed a two-pawn advantage going into the end game, but this time, he did not let David Navara slip through, winning decisively to take a 1.5 to .5 lead in their 4-game series in Prague. 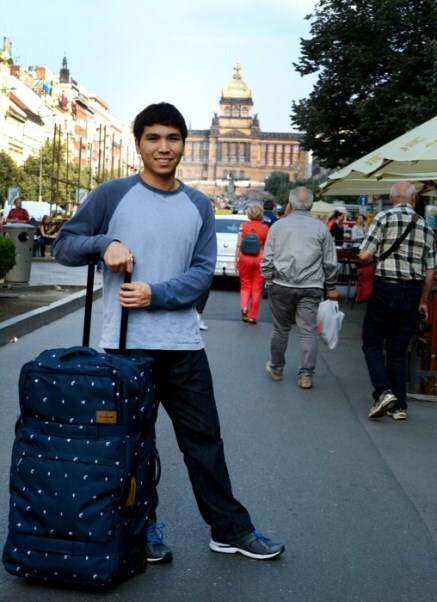 The 21-year-old Filipino grandmaster playing under the U.S. flag prevailed after 56 moves in a rook and pawns endgame in which the 30-year Czech was helpless in the end. It was So’s first victory in three games against Navara, including their draw in the last round of the French League Top 12 team championships recently in the south of France. 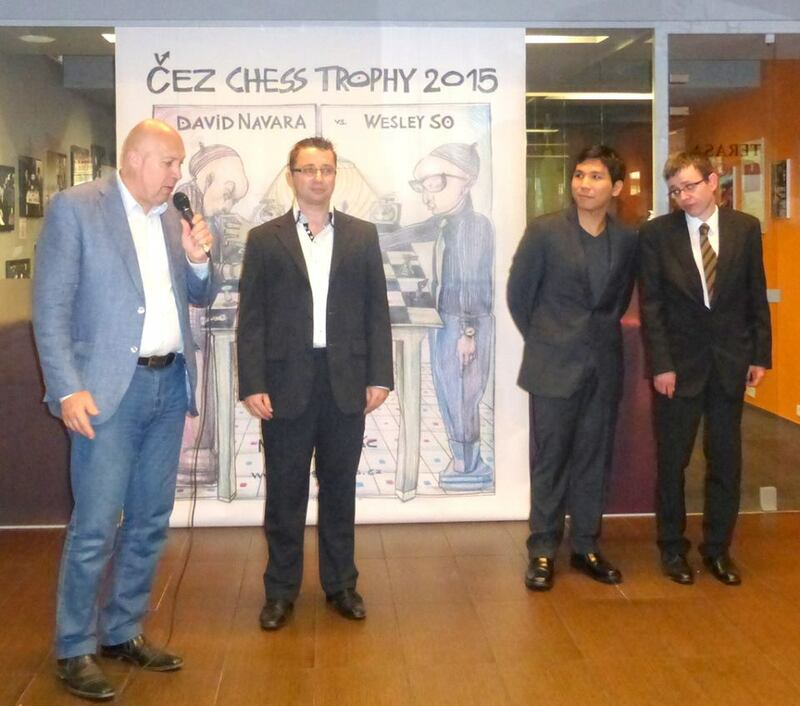 Game 3 will be played Sunday and the series ends on Tueday for the CEZ Chess Trophy organized by the Prague Chess Society. So also played against 22 opponents in simultaneous games before the series with Navara, winning 18, drawing 3 and losing 1. 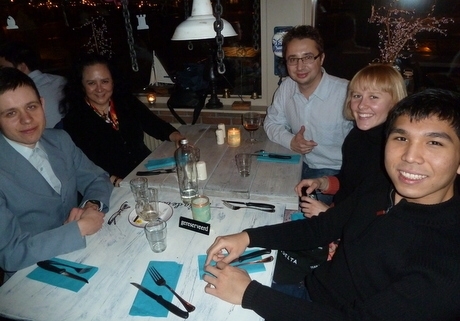 Wesley So and David Navara during the contract signing of their match in February in Prague. Also in the picture are what organizers described as Wesley’s adopted family, which includes Lotis Key. CEZ CHESS TROPHY 2015 PHOTO. 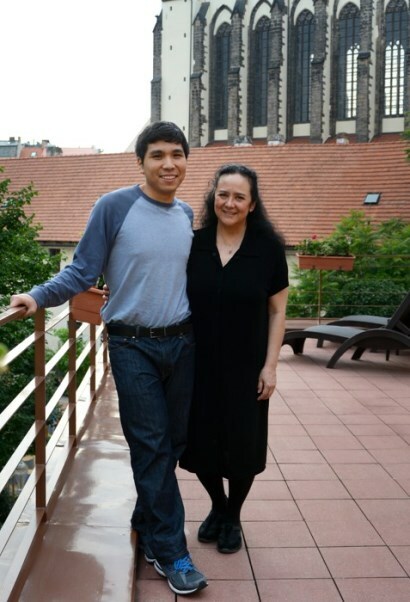 LAS VEGAS – Despite a two-pawn edge in a bishops of opposite colors and pawn endgame, Wesley So could not break through David Navara’s defenses and settled for a draw in the CEZ ChessTrophy 2015 series in Prague. Playing the black pieces, Wesley appeared to have positional advantage in addition to the material edge, but Navara came through with the precise moves to thwart So’s pawn advance in the king side. The two agreed to split the point after 94 moves. So will play white in the second game of the 4-game series on Saturday. 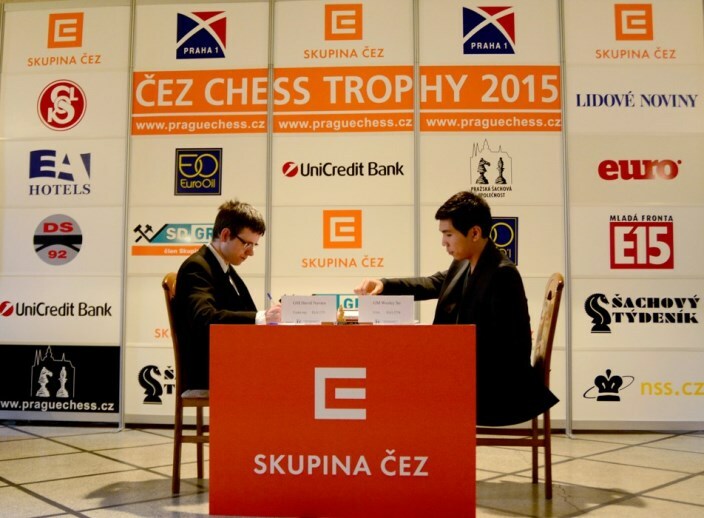 The CEZ Chess trophy is a prestigious tournament in Prague organized by the Prague Chess Society. Now on its 13th year, the series usually pits the top Czech player against a designated highly rated foreign chess grandmaster. 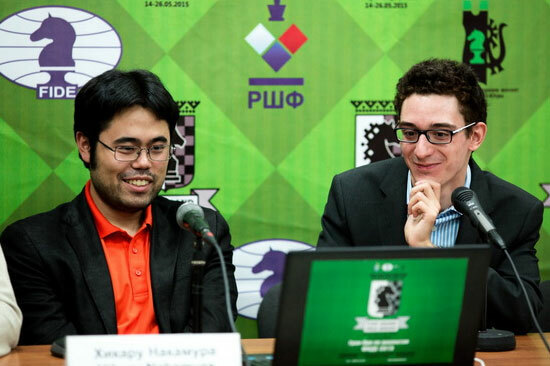 Last year, Navara faced Hikaru Nakamura, the highly regarded American, now rated No.4 in the world in live ratings. It was a one-sided series, however, with Nakamura crushing Navara, 3.5 to .5 with the 30-year-old Czech grandmaster managing to score only a draw in four games. Coming off from a so-so performance in the French Top 12 team championships recently, So and his supporters hoped to score a better result to recover lost rating points. There was even talk of a sweep against Navara for an 18+- point increase, but now, it seems they can only wish for the best the rest of the series. The 21-year-old Bacoor, Cavite native now sits at No. 10 in world live ratings with 2771.3 points. He seems to have enough caution however, to stay on the spot with his closest pursuer, Dmitry Jakovenko of Russia, 14.6 rating points behind. Then, at No.12 is hard-charging Sergey Karjakin, and the 25-year-old Russian grandmaster is just 18.3 points behind So. The numbers are volatile and constantly change, depending on how the players are active, but competing in weak tournaments does not help. It is an indication of whether you’re moving up or down in the world ranking and how well you compete with the best. It also gauges how you manage your career as a chess professional and the type of advice you’re getting.